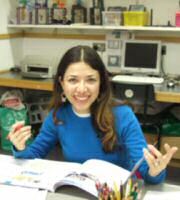 Brookemead ELT is a specialist publisher and producer of Language Teaching and Learning materials, based in London. Brookemead ELT's authors, editors, materials designers, recording artists and other specialists have many years' experience of producing materials that are original and motivating for students. Brookemead ELT licenses its publications for local editions by publishers of school and university text books in many countries, including Russia, Japan, Korea, Italy and Greece. Brookemead ELT editions are stocked and sold by distributors world-wide. Please see our list of distributors on this website. Brookemead is also commissioned to produce materials for language learning and other fields of education. provides a huge amount of language material to choose from, depending which exam your students plan to take." "The course is generally aiming to teach English through researching various subjects. The section on CLIL (Content and Language Integrated Learning) is the best example. Not only fluency in speaking has been promoted here; regular writing practice is gradually introduced in each unit." "What the teacher will surely appreciate are the model answers for each task."